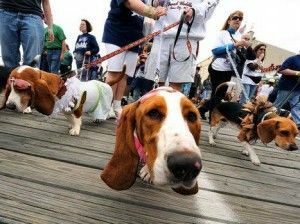 Mark your calendars for Sunday September 30, 2012 for the "BIG CANINE WALK OF THE RIVIERA MAYA". Imagine all doggies and their humans walking together! The Gran Caminata will begin on 5th Ave and Ave. Pintores, just past Mareazul. It will be a great event with raffles and prizes and lots of fun stuff. This is not a race just a fun community event! Bring your dog and walk with us! Registration in advance is $50.00 pesos per dog (not person). Call Sylvie at 984-132-0583, email info@soselarca.org or go to Byblos Restaurant at Calle Corazon between 5th Ave and 10th to sign up. Your registration fee will go to improve the building of SOS el Arca A.C., a not for profit sanctuary for dogs located in Playa del Carmen. All funds will go to improve the shelter, buy medication and food and help with general care of the animals. You may also register on the day of the event between 7 am and 8 am. If you don't have a dog, you can accompany one of the beautiful dogs from the SOS el Arca shelter. That dog will be very thankful for your time and attention! Bring your dogs that are friendly, tranquil and well mannered. All dogs must be on a leash during the walk for safety. Dogs that are aggressive with other dogs must be muzzled or they will be asked to not continue. Bring a dish and water for your dog and some treats, and some poop bags for picking up after your doggie. PLEASE! Special thanks to the Municipal Government Leaders of Solidaridad for their support of this event and especially the department of Urban Development and Environment, Alberto Farfan and Carlos Malpica.